Before you start packing, determine the items you want to throw away, give away or sell. Moving is a good time to get rid of items you no longer need. You will save money and have less to pack and unpack. Give yourself enough time to make these decisions. Don’t just start packing — plan how you will pack. Pack items you seldom use first. Pack items of similar size and weight together. Don’t make any carton too heavy to easily lift. Always use proper packing cartons and wrapping materials. Use professional packing tape, which is a wide, strong, clear or brown tape. Masking tape is not strong enough to support the weight of a fully packed carton. Tape all cartons closed on the top and bottom — don’t just fold the end flaps closed. Use crumpled, unprinted newspaper to pack items in boxes. Label the contents on the outside of all boxes, along with the rooms to which they should be delivered in your new home. When packing fragile items, clearly mark “fragile” on the outside of the box, with arrows on the sides to indicate the correct upright position. Indicate boxes holding essential items, such as cooking utensils, bedding, linens and toiletries that need to be opened first by writing “open first” on the box and making sure these are the last boxes to be loaded onto the moving van. Wrap each item separately in unprinted newspaper, and use a specially partitioned box such as the “dishpak” (available from Mayflower). First, wrap the stems for extra protection; then wrap each glass individually and place upside down in a partitioned box. Cross the glass with a series of masking tape “Xs” to help strengthen the glass, then wrap in a generous cushion of clean paper, and place in a flattened packing or telescoping carton. Nest utensils in groups of three or four, wrap securely and place in silver chest or cushioned box. Handle shades only by the wire frames; place in large boxes. Shades can be nested in one box if separated by clean paper. Clothes can be folded and boxed. For faster unpacking, you can obtain special wardrobe boxes from your mover, allowing you to neatly pack by leaving clothes on hangers. If possible, pack small appliances, computers, stereo equipment and VCRs in their original boxes. Otherwise, cushion appliances with crumpled packing paper. Tape down moving parts, such as stereo turntable tone arms. Pack with bubble wrap or several layers of paper. Secure stoppers or lids with masking tape to the top of the jar or bottle. Don’t move flammable items. Wrap generously in bubble pack, wrap in a layer of clean paper and pack in boxes with plenty of crumpled paper or foam packing “peanuts” in between items. Objects with delicate appendages, such as candelabras or figurines with extended arms, should be wrapped with extra bubble pack and surrounded by extra packing material. Stack these items on end so they can absorb shock with less chance of damage. Pack tightly so they’re secure and can’t shift. 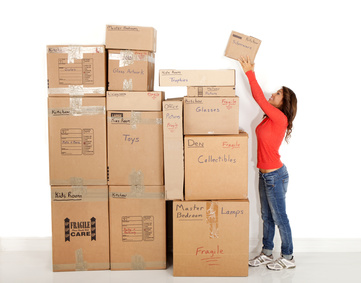 Movers can supply specially made crates to secure and ship fragile items and antiques. Lindsay Group provides free, no obligation estimates. If you would like to contact a representative of Lindsay Group please call (800) 476-8902. 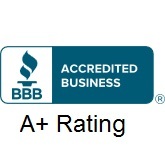 To request an estimate electronically, click here. Lindsay Group recommends putting aside essential articles in what Lindsay Group calls a “Trip Kit.” The kit, usually made of a moving box small enough for a family to take with them to their new home, acts as a collection point for important papers and necessary items that should not be boxed up during the busy sorting and packing process. The U.S. Post Office has provided information to help you notify all of the necessary parties of your move. Click Here to visit the post office.